Speed Matters. The X Theme web hosting review. As we continue on the topic of website speed, it’s important to note one of the biggest contributing factors: your host. 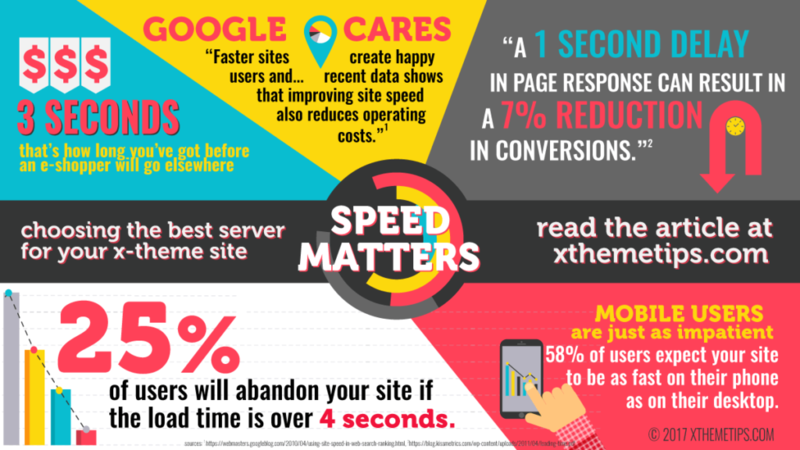 A great host can launch your site to speeds unimaginable by others, and a poor host can hold you back by great lengths. But as many of our readers know, there’s a lot of selection out there. That’s why we set out to help you make that choice, by completing in-depth reviews of 11 hosting packages. We tested them for speed, scripting benchmark scores, and their ability to handle a load of visitors. We signed up for the plans, made the sites, and ran all the tests until our fingers hurt. We put our results together into one large special report called: How to choose the best WordPress host for X Theme. So check it out, let us know your thoughts, and hopefully you can learn a thing or two in the process.